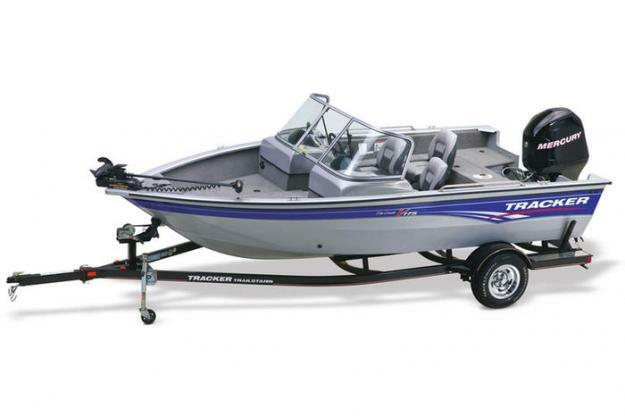 When the weather and the water require a bigger boat with more brawn, more stability, and more space, pick the TRACKER Pro Guide V-175 WT. Approx. package weight 2794 Lbs. It’s designed to conquer big water and to extend your season into the cooler months. The walk-through, wraparound windshield protects you and your crew from spray and wind, making the ride to your fishing hole more comfortable. 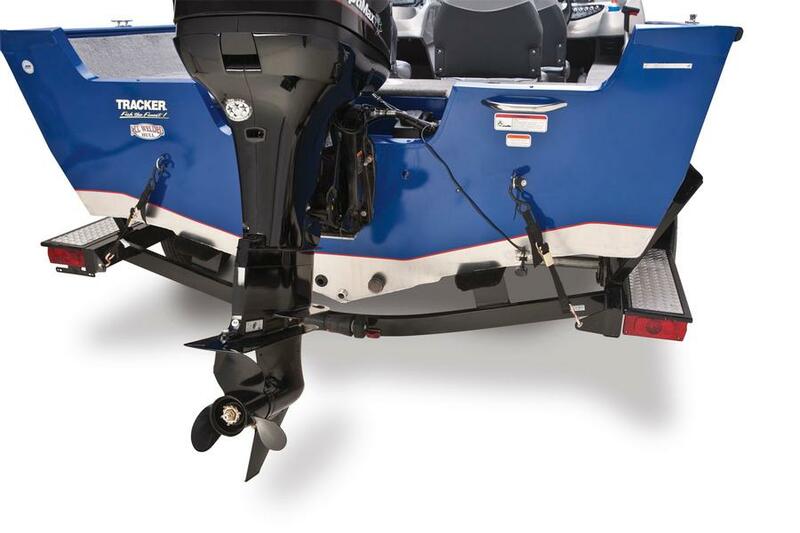 The all-welded Deep V hull is unitized with the transom via a welded-in longitudinal stringer system—so not only is it incredibly strong, but it also rides smoothly and keeps you drier on any type of water. The Diamond Coat finish w/exclusive powder coat & clearcoat extends durability and color exponentially over traditional paints. Spacious storage and courtesy lights make accessing gear a breeze. There are fore and aft livewells, both with removable bait buckets. 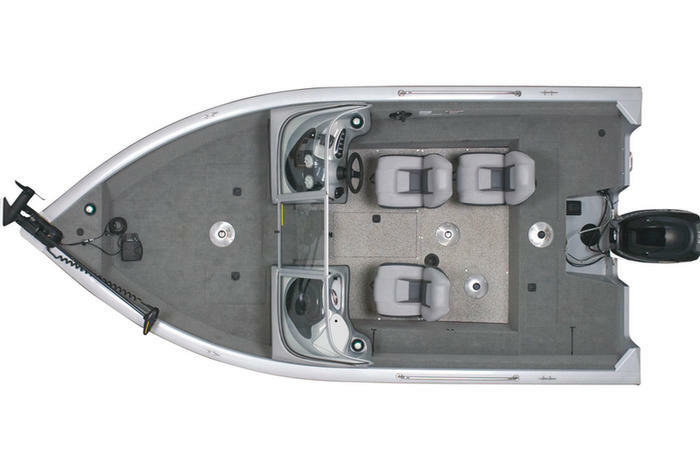 And you get 2 movable fishing seats with 6 pedestal seat locations throughout. The V-175 WT rides on a factory-matched, single-axle trailer with GALVASHIELD protection and a standard Mercury® 90HP ELXPT FourStroke outboard. Approx. Package Weight 2518 Lbs.